As may know, I’ve been running a short survey over the last few months. This is now closed and I’ve been through the results. A lot of my questions for qualitative, making it difficult to communicate the results in a short summary but I’ll come back to individual questions from this over the next couple of months. HR’s values and perspectives seem the most suited to dealing with its own and its businesses’ challenges – with a quarter of the sample rating its values as very well suited. I’m surprised how well this aspect has scored as I often feel HR has a lot of beliefs or an ideology which limit its own effectiveness (acceptance of its support role, lack of interest in new insights, too much focus on measurement etc). The capabilities of HR professionals is also rated quite strongly, with two-thirds of you suggesting that current capabilities are well or very well suited to the challenges. Again, this seems more positive than my experience! Some of you mentioned ongoing transformation of the HR function and the need to reskill HR professionals in newer areas like measurement and analytics and in areas supporting interventions to deliver business strategies (requiring better understanding of business models and cultures etc). The quality of HR management process is much less well scored with two-thirds of respondents suggesting that process quality is either poorly or very poorly suited to dealing with HR’s challenges. This is less of a surprise to me, and agree that a lot can be done to improve processes. HR operating models are also rated less strongly than values and perspectives, but not as low as processes, but still with a majority suggesting that these models are poorly or very poorly suited to HR’s challenges. Again, I suggest that’s about right. I also provided a ‘other’ category and here you suggested it is the way HR is perceived which is the major issue, as a generally poor perception means that when competing on budgets for projects, HR usually looses to other ‘core’ business projects. There was also a view that the poor perception is based mainly on ongoing needs to meet new customer requirements and implement more effective technology meaning that HR is never able to change quickly enough to meet the demands being placed on it. I also went on to ask more about the effectiveness of your HR strategies. 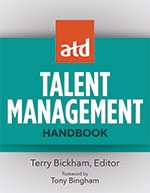 I didn’t ask specifically whether you were doing ‘HCM’ ie managing your people in a way that would accumulate human capital as 1. this isn’t the definition everyone uses and the question would have been interested differently by different people, and 2. I know the positive responses would have been very low! 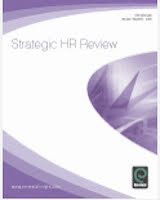 But I did ask whether your HR strategy is tailored to your particular organisation (ie is it purposefully and significantly different to that of your competitors / other similar organisations) which is a key aspect of an HCM strategy. And once again, I was surprised by the high proportion of positive responses. About half of you suggested that you do have somewhat tailored HR strategies with a further 15% suggesting these are well tailored to your particular organisation. One third of you suggested that your HR strategy is not really tailored but only a handful suggested there was no tailoring at all. 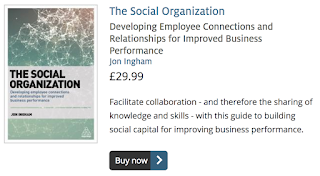 I did ask whether your organisation has a strategy to improve collaboration / to develop relationships between employees (eg through Enterprise 2.0 / use of social media tools, organisation design, facilitation of communities etc) – which I deal with in my other blog, Social Advantage. Again, I thought responses were very positive, and only slightly lower than my question related to HCM above. So two-thirds of you suggested that your organisation had something of a strategy (about the same as the number who responded that your organisation has a well tailored, or something of a tailored strategy in my question above). And about 15% said you didn’t really have a strategy in this area with a similar number saying you didn’t have a strategy like this at all (about the same as the number as suggested that you do not really have a tailored HR strategy). So similar positive and negative responses to my earlier question, but with more of the yeses responding with ‘somewhat’, and more of the ‘not really’s responding with ‘no’, to the second question. 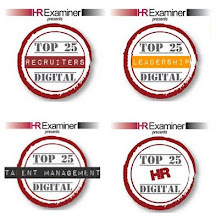 I also asked about HR’s role within these strategies, and here responses were quite low, perhaps because I’d just mentioned things like enterprise 2.0. But about 20% of you still said that HR has a leading role and another 20% suggested you have a joint or equal role with the rest of the business in HR strategy. But although nobody said HR was not involved in strategy, nearly two-thirds of you suggested HR only has a supporting role. That’s not great, is it? I also asked whether you have an effective approach for measuring progress against your HR strategies. Over 80% of you suggested that you do have a somewhat effective approach with nearly all of the rest of you suggesting that your approach is fully effective. Again, another surprising result for me, and although I agree HR has been increasing its capability here (a point also made in I4CP’s recent research that I reviewed recently), from what I see I still think there is a long way to go to make these approaches really effective. So what’s behind these surprises you’ve been giving me? Well, you’re the people who are doing the real work (most respondents were internal practitioners not suppliers), and I only work with a relatively small number of clients each year, so in many ways you are closer to this than me, and your aggregated feedback is very powerful. Still, I’m not totally convinced. I just think there are huge opportunities for improvements within HR. Most of you see some of this. I think my perspective a little further away from the coal face allows me to see more of these, or at least see them differently. 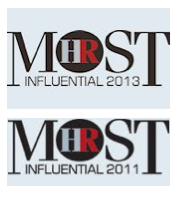 It’s why I think close partnership between HR Directors and insight based HR consultants like me is so powerful. I’ve got the understanding of how things could be really different, and you’ve got a handle of how things work now in your own organisation. You put these two things together and I think you’ve got a really good basis for dealing with your particular business and HR challenges, whatever these are. Look out for more from the survey over the next month. I’m also getting in touch with the lucky winner of my ticket for the Economist Group’s Talent Management Summit, and hope to report more on a conversation with them about their perspectives on HR’s challenges too. Great survey Jon - thanks for putting this together! I have included your results in my Rainmaker 'Fab Five' blog picks of the week (http://www.maximizepossibility.com/employee_retention/2011/03/the-rainmaker-fab-five-blog-picks-of-the-week.html) to share this great info with my readers. Jon, Thanks for your work on this -- and more context on who the respondents are from a size and industry perspective would be helpful! Regarding the statement, "although nobody said HR was not involved in strategy, nearly two-thirds of you suggested HR only has a supporting role. That’s not great, is it?" I am with you, and take it even further, I believe HR's key value-add is to have people develop greater awareness & skill in implementing strategy. Also, Tthe degree of focus consultants (and many execs) put on data & measurement can be summed up by a quote from a CEO in met... "Given the choice to buy a $Xmm measurement system, or to put more nurses on the floor -- I choose the nurses." This company is beating the competition quite handily. Nokia’s HR Challenges + survey still open!